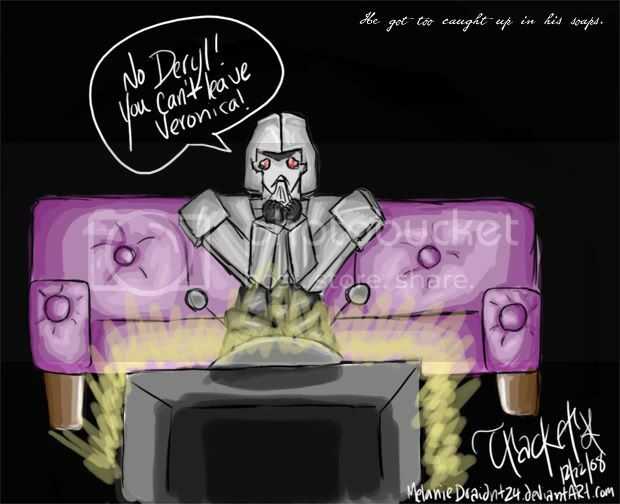 Ah, what joy to see my minions giving in to my demands and drawing possibly reasons Why Megatron Ran Away. You worthless slag heaps have actually managed to produce something enjoyable; I'm impressed! 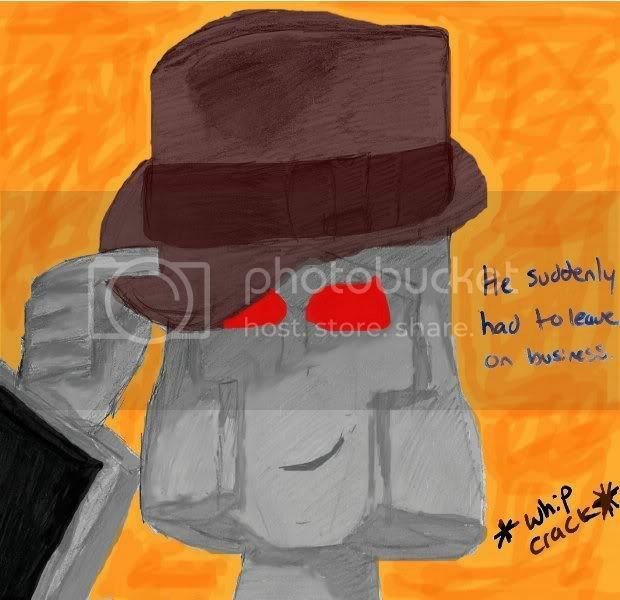 Obviously, you had my help in getting things started. 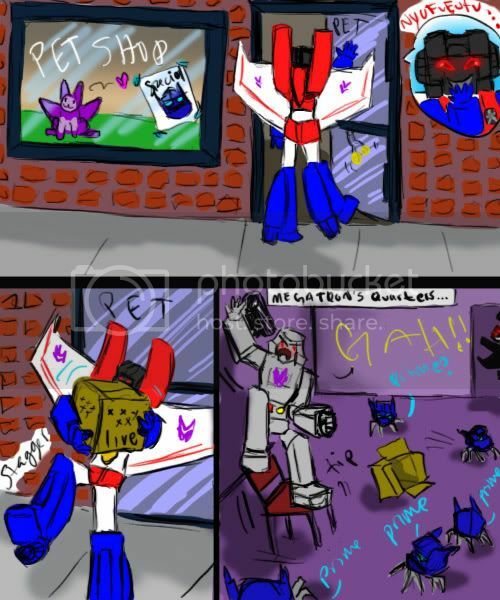 Sunstreaker returned from the dead to send me to a pet store. Rumble touched on an Earthling custom which only Megatron would be foolish enough to participate in. Moonracer decided on the same humiliating trend. 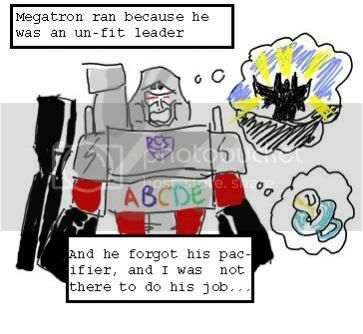 Knockout had Megatron held captive in the Ark, and forced to dress up as a figure from human popular culture. Wonderful. Listed finally, but by no means the least accurate of the tributes, Tracker has drawn what is all-too-probably the truth.